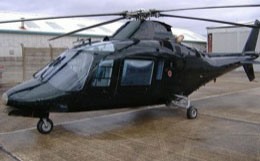 The S-92 Aircraft manufactured by Sikorsky is a popular helicopter. Learn more about it's specifications and history below. The Sikorsky S-92 is the most technologically advanced aircraft in the company's impressive fleet. It took its first flight in 1998, earned FAA certification in 2002, and EASA certification in 2004. 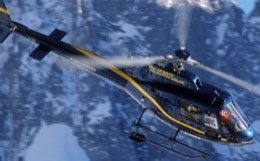 Impressively, the model was the first helicopter to be certified under the latest US safety guidelines, conforming to FAR Part 29 Transport Rotorcraft, Amendment 47 standards in addition to earning the equivalent EASA safety standards. One promising aspect of the S-92's development is that it builds upon and improves on the most solid aspects of the previous time-tested Sikorsky entries. Experience in the industry combined with the willingness and ability to improve upon previous successes is an effective strategy for successful innovation in the rotorcraft field. And with safety standards rivaling any other helicopter in the world, the S-92 is an obvious choice for VVIP and corporate transport solutions. This is becoming more and more evident as many heads of state continue to choose the S-92 for its safety, reliability, comfort, and performance. Beyond the safety and reliability of the S-92, it is also a very large, comfortable, and customizable aircraft. Both its interior cabin and exterior can be customized in several unique styles. The model is also known for its exceptionally quiet and smooth flights enabling maximum relaxation and productivity while in the air. To increase potential productivity even further, the S-92 can be equipped with satellite phones, which enable limitless global communication on the go. Its cabin is large enough to carry up to nineteen passengers and has enough interior space to stand up and as a result, affords ample freedom of movement. Alternatively, the S-92 can also luxuriously accommodate around nine passengers in a more spacious seating arrangement. The sheer amount of usable space makes it possible to arrange for a lavatory, galley, or additional storage space. 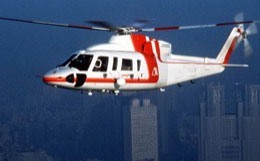 In short, private travelers who are looking for a Heavy Class rotorcraft with an abundance of customizable space will have a difficult time finding a more attractive option than the S-92. The Sikorsky S-92 also has excellent performance characteristics. Considering that Sikorsky has already delivered more than 150 S-92 models since 2004, it's safe to say that operators are appreciating what this four-bladed, twin-engine giant has to offer. Although primarily known for its size, safety, and reliability, the S-92 also has a very impressive range of 544 nautical miles and a fast maximum cruising speed of 153 ktas. This is thanks to its powerful twin General Electric CT7-8A turboshaft engines. Although typically used for head of state missions, Search and Rescue operations, and other civil utility uses, the S-92 also comes in a military version, the H-92 Superhawk, which can carry up to 22 soldiers due to its extremely large cabin. Although its size and power may be redundant for smaller mission types, the S-92 is truly a multipurpose aircraft that can handle virtually any mission type with its flexibility and world-class range. 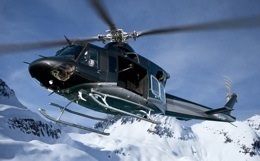 Safe, comfortable, and large, the S-92 is one of the most well-rounded, powerful, and luxurious helicopters in the world. For more information about chartering, leasing or buying a Sikorsky S-92 please contact us by calling +44-20-3874-8091 or send us an email here.